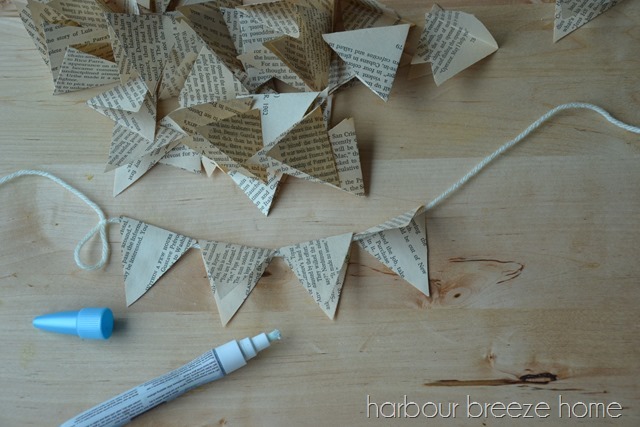 In this article: This easy book page bunting garland makes a lovely decor statement. It can add character to a Christmas tree, hanging in a window, or above artwork. 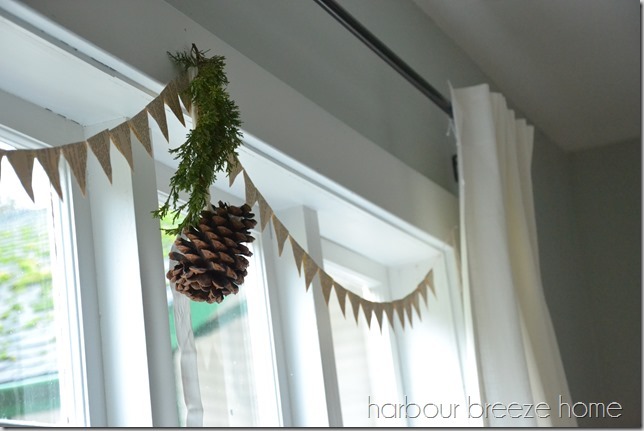 It seems a little late in the game to be posting a DIY for Christmas decorating, but this is one that is no way limited to using only at Christmas time! It’s super quick and easy and adds a little fun and whimsy into any space. Carefully tear the pages out of the book a few at a time. Fold the pages in half lengthwise. Figure out how big you want the bunting triangles and make a little triangle template. Place the triangle template on the folded book page with the widest part touching the fold and trace. 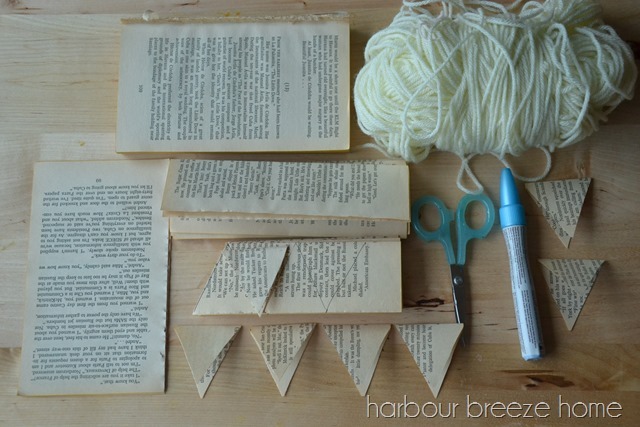 Stack a whole bunch of folded book pages together and cut them all at once. Place the fold of the triangle against the string and glue the pointed ends together. 7. Keep folding, cutting, and gluing until you have a garland as long as you want. 8. Knot each end of the string into a loop and hang on a nail. 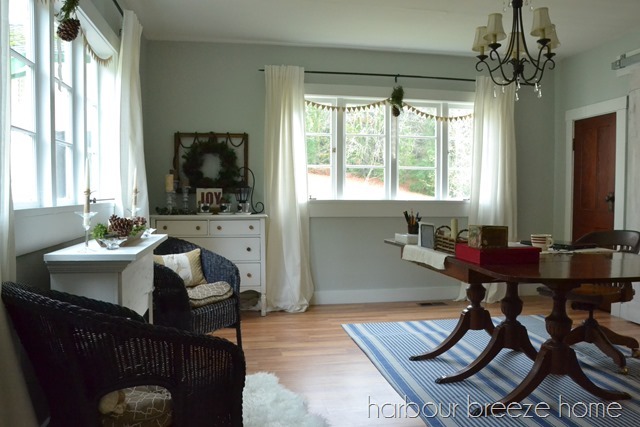 String the garland around the Christmas tree for a rustic farmhouse look. 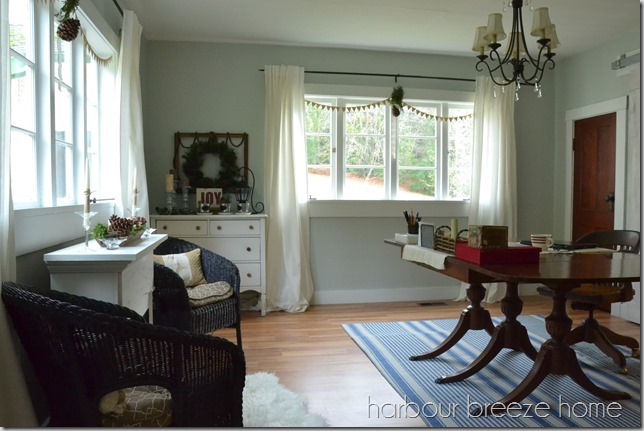 Hang above and around an old window frame on the wall. Add twinkle lights behind them in the windows.